Nowadays skirts are becoming a very popular item in females as they are convenient to wear and lend the versatile appearance. Skirts are becoming the essential part of a woman’s wardrobe as it’s available in many styles and designs. Straight skirts are the one’s which have the similar width from the waistline to the bottom of the skirts till the hemline. The length of the skirts depends upon from knee to ankle and you can design the one which enhances your look by many folds. Straight skirts can be worn casually, formally or dressy also depending upon the cuts and fabric you pick. Now let’s have a check at top 9 stylish straight skirts designs. It’s difficult to resist this extravagant black and white straight skirt as it makes you appear classy and loads you with compliments. The unbelievable laces switched in between highlight the looks of the skirts and make you appear slimmer and prettier than ever. 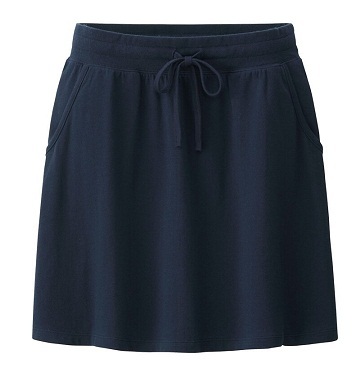 This is a lovely and elegant looking navy blue skirt in a straight cut. The skirt is designed from linen fabric, thus it has a nice fall and when paired with summer tank top with a scarf can make you appear outstanding. 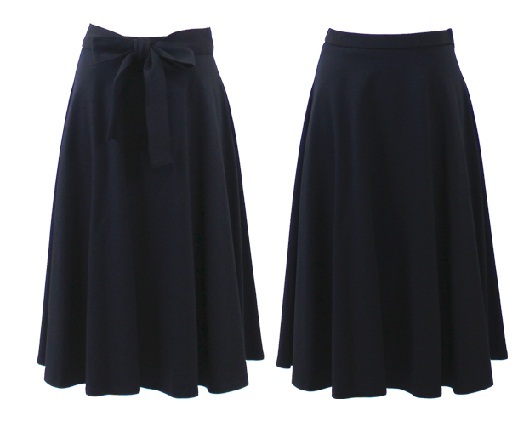 Here come simple looking black straight skirts, which is ideal for official or formal wear. The skirt offers a fashionable yet professional confidence in woman when carried with white shirt and a court on top it. It’s one of the most iconic types of outfit for corporate females. This type of womens straight skirts are ideal for females who have straight body cut as the light and dark colour combination in as stripped pattern makes a woman appear sleek and glamorous. A small slit on the sides makes it comfortable while you are on the move and make you appear attractive. The colour white makes a woman appear like fairy and pretty. These types of straight cut front zip skirts with perfect silhouette would appear awesome for any upcoming dates or romantic dinner as it makes you appear hot and appealing. This is one of the extravaganza black straight skirts for every female. The fringes at the bottom looks very striking and are eye catchy one and could be worn as casual wear to the office and even as cool evening wear also. 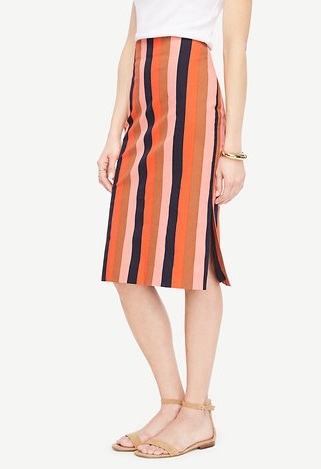 The knee length front button skirt in a straight cut looks amazing. The small buttons in the form of embellishments make the skirt as well as the wearer appear more attractive. This type of ladies straight skirts is perfect for meeting when paired with pain or patterned top. 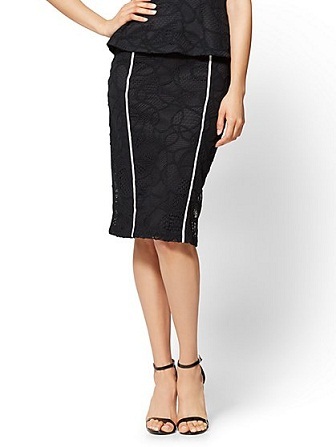 Pencil skirts lends to smooth appearance especially when you are in erect posture The skirt has a slim fit and the length extends till knee. A small belt tied around the skirts give a female a feminine and chic look and couldn’t stop people from admiring. Here comes the most versatile and stylish looking long straight skirts for every woman. The skirt has lace around the waistline that’s gives a perfect fit and the layered cut all over it makes it looks remarkable. The straight long skirt definitely lends a WOW look to the wearer. Straight skirts are ones which lends you a sophisticated and classy look when teamed with correct pairs of tops, tunics or skirts. The skirts lend an elegant look because of the straight fall and are very comfortable as they are not as tight as pencil skirts. Straight skirts are the ones which can be worn throughout the year and any season also.